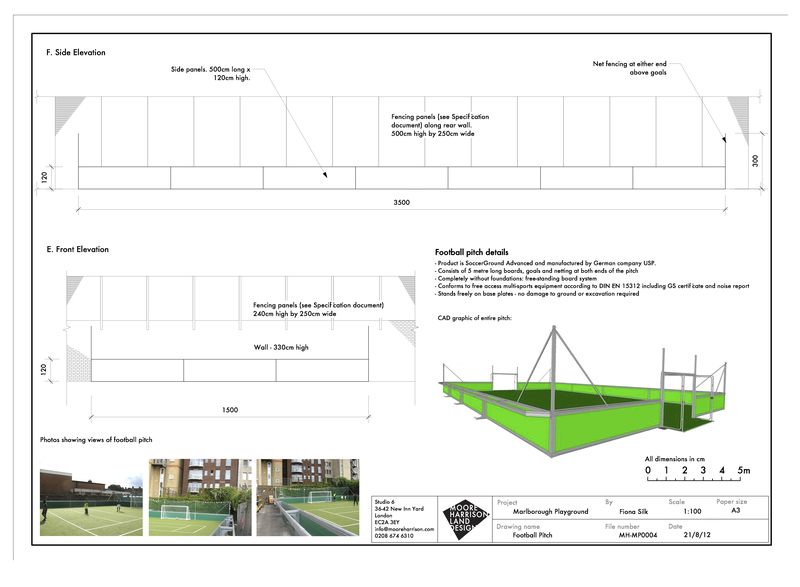 I created this set of drawings as part of the planning application to convert a former playground off Union Street in London to a multi-use sports facility – the Marlborough Sports Garden. 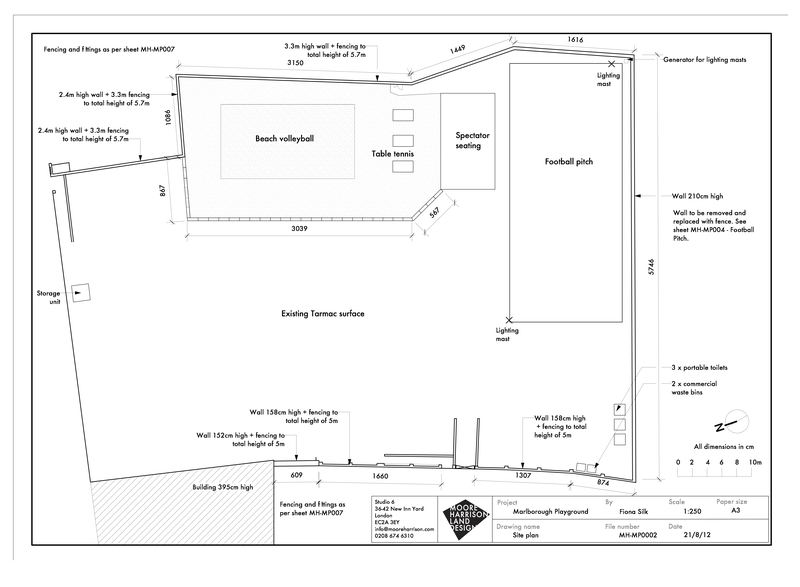 They show an overall layout for the space, as well as details on each area including the boundary treatments, sport-specific areas, line markings and proposed hard landscaping. 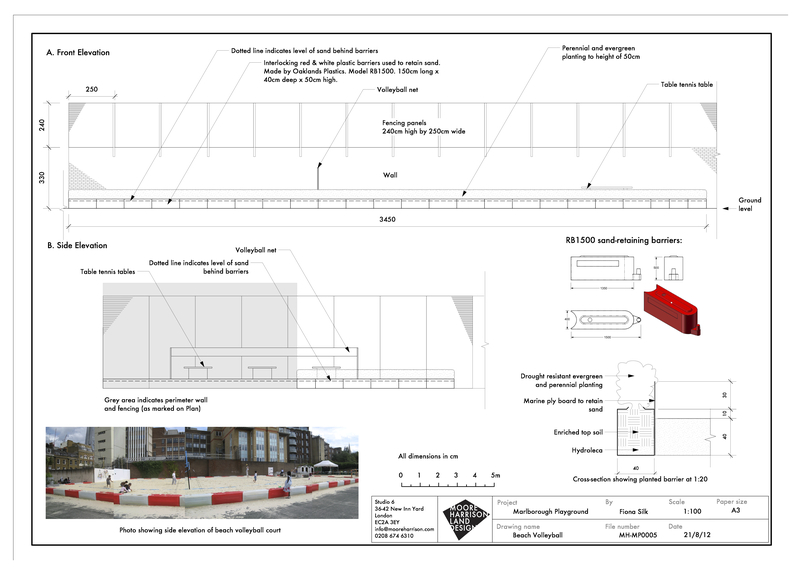 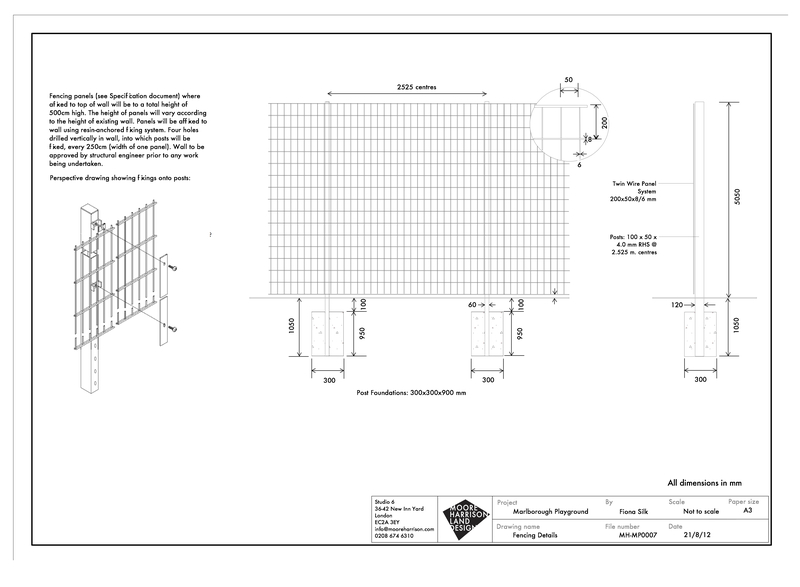 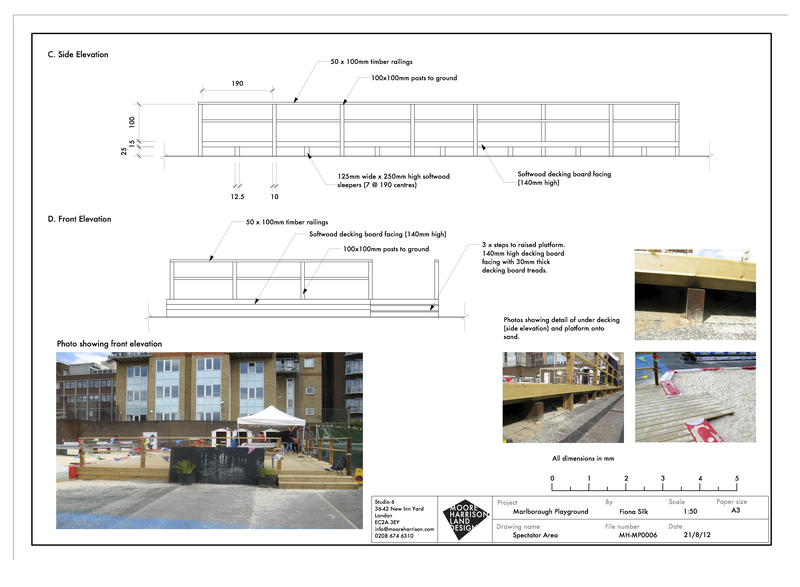 I worked with Moore Harrison over various iterations of the plans and details in order to ensure they effectively conveyed the design whilst meeting all requirements by Southwark in order to swiftly be granted permission to start works.